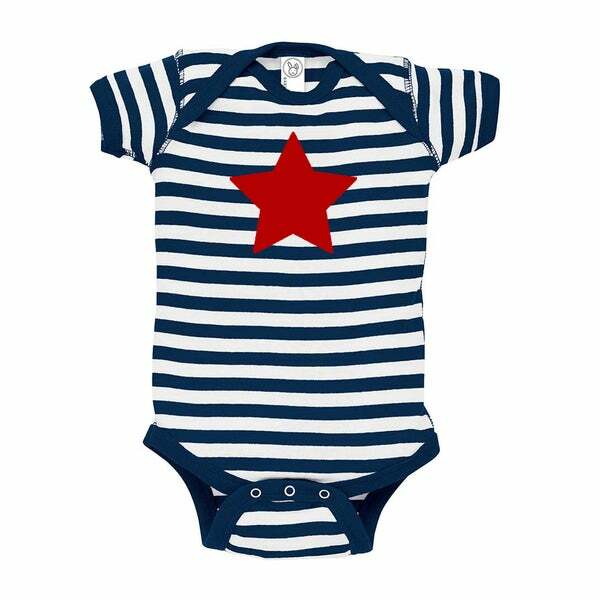 Get an early start in developing their patriotic side when you dress your baby in this adorable star-graphic bodysuit. Made of extremely durable cotton with a vinyl graphic, this charming bodysuit is sure to make Uncle Sam proud. Show your love for your baby and your love for your country with this comfy, cute bodysuit.